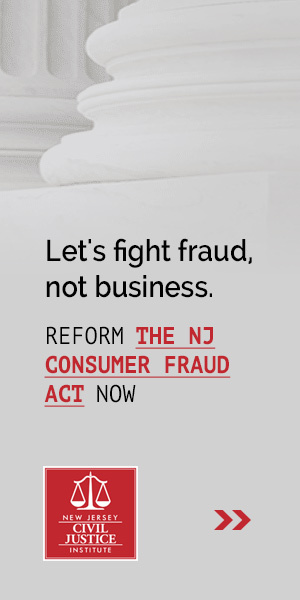 Over the past few years, we’ve been highlighting the unique danger New Jersey’s Truth-in-Consumer Contract, Warranty and Notice Act (TCCWNA) poses to our state’s businesses. The idea that TCCWNA lawsuits are “consumer protection” suits is laughable. In the vast majority of TCCWNA lawsuits filed today, the alleged harms are trivial technicalities, and the plaintiffs have suffered no actual harm. The only clear beneficiaries of these lawsuits are the attorneys who bring them. 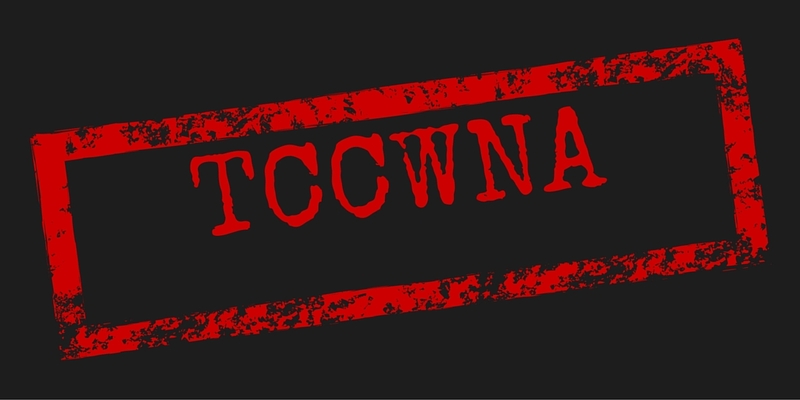 If TCCWNA lawsuits were actually fighting consumer fraud, we would have little to say about them, but as it is, they are little more than a court-sanctioned shakedown scheme. It is time for the courts to bring some clarity to the undefined terms in this statute, so the law can no longer be used to file abusive lawsuits. The Truth-in-Consumer Contract, Warranty and Notice Act is designed to provide consumers a quick and easy way to enforce their legal rights. The Act does not create any new rights, it just provides consumers with an additional way to enforce their already existing rights. The Act forbids any seller, lessor, creditor, lender or bailee from violating “any clearly established legal right of a consumer or responsibility of a seller, lessor, creditor, lender or bailee as established by State or Federal law” when they enter into a written contract with a consumer or give or display any “warranty, notice or sign” to a consumer. If a business violates TCCWNA (which necessarily means they violated some other legal right), it is on the hook for $100 or actual damages, plus reasonable attorneys’ fees and court costs. Consumers may also petition a court to void a contract that violates TCCWNA. Although the law is supposed to apply only to money, property, and services, used for personal, family or household purposes, the court has repeatedly expanded the applicability of the law by interpreting “consumer,” “property,” and “warranty, notice or sign” very broadly. Consumers cannot waive their rights under the Act, which are to be considered an additional benefit above and beyond any other rights a consumer may have. What is driving the uptick in TCCWNA cases? TCCWNA was signed into law in 1982 by Gov. Brendan Byrne during one of his last days in office. Unfortunately, we have little information about whether or how consumers made use of the law during the first two decades it existed. It is not until 2005 that a written opinion referencing a TCCWNA claim really appears. An analysis of available written decisions referencing TCCWNA shows how the law lay dormant for many years, and how rapidly the number of cases involving TCCWNA is growing. This is astounding when you consider the vast majority of TCCWNA cases do not result in a written decision, so this is just a small sample of the total amount of TCCWNA litigation. 2009, however, is the real inflection point for TCCWNA claims. That year, in United Cons. Fin. Ser. v. Carbo, a New Jersey appellate court ruled that TCCWNA claims could be brought as a class action, even if the plaintiffs have suffered no ascertainable loss. Instead of helping one client win $100 and get his or her fees paid for by the defendant, the court allowed an attorney bring a class action on behalf of lots of plaintiffs. If a defendant loses one of these cases, they will be on the hook for ($100 * the number of the business’s customers) + attorneys’ fees and costs. This much larger financial threat pushes defendants to settle even if the businesses do not believe they have done anything wrong. One of the unfortunate aspects of this type of suit is that consumers are more likely to be harmed by it than benefit from it. When one plaintiff brings a lawsuit just on their own behalf, if they win they are going to get the $100 penalty, have their legal costs paid for, and likely benefit other consumers by bringing the violation at issue to the attention of the defendant (who often is acting in good faith). On the other hand, if a plaintiff brings a successful class action, the most likely outcome is some small amount of money to the named plaintiff (but probably more than $100), maybe some sort of award to other members of the class (typically well less than $100 per potential plaintiff), a much larger award to the attorneys, a fix to whatever the violation was, and higher prices on the defendant’s products or services going forward. Under the class action scenario the class members get less than they would have if they had brought their claims individually, and the costs of goods and services increases for everyone. The ascertainable loss aspect of the Carbo decision was just as damaging as the class action aspect. In order to bring virtually any lawsuit, a plaintiff must be able to prove that they suffered an ascertainable loss. This is another way of saying the plaintiff has to show that they did not get what they paid for. For example, if a product doesn’t work as advertised, that is an ascertainable loss. The Carbo court said that proving an ascertainable loss was not necessary, which makes it easier to bring lawsuits where there is little or no harm to the plaintiffs. In 2010, in another NJ appellate court case, Smith v. Vanguard Dealer Serv. LLC, the court held that New Jersey business owners may be held liable for TCCWNA defects in the warranties offered by the out of state or out of country manufacturer of a product they sell – even if they didn’t know the product came with a warranty. TCCWNA made the jump to the online world in 2013 in the case Shelton v. Restaurant.com, Inc. Since that time, the number of e-commerce related cases has ballooned. At the heart of most of these cases is the TCCWNA provision prohibiting statements like, “void where prohibited” unless the contract, notice or sign says what, if any, provisions are unenforceable in New Jersey. There is no indication that any of the consumers involved in any of these cases has been actually harmed by the terms and conditions they are suing over. NJCJI has filed amicus briefs in several TCCWNA lawsuits urging the courts to step up and flesh out some of the undefined terms in the statute. Clarifying what terms like “aggrieved consumer” and “clearly established legal right” mean will go a long way toward ensuring that this statute does what it was designed to do, protect consumers, without being a tool that attorneys can use to troll for lawsuits against well-meaning businesses. If you would like to join our effort to reform TCCWNA, and bring common sense back to our legal system, please contact Alida Kass, NJCJI’s President & Chief Legal Counsel. Sign NJCJI’s petition to the New Jersey Legislature asking for TCCWNA reform. What are others saying about TCCWNA?